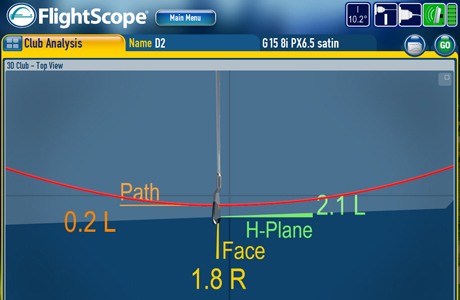 We offer to analyze your swing with our GASP video system and with a Doppler radar. You will be video filmed with the GASP and you will go through you swing together with one of our professionals. Using our Doppler radar (by the name of Flightscope), we discuss the data generated by the radar: your swing speed, the speed of the ball, spin, initial angle and much more. You will also be able to get an answer to the question whether your equipment suits you and your swing. In this connection we also measure how far you hit with the different irons.